Yes, if you’ve seen the post about the contents of a hard drive, you’ll remember that it has a very powerful magnet. It’s perfect for holding on to tiny screws. You’ve probably been delayed behind a car in the take-out lane of a fast food restaurant and wondered what was taking him so long to place an order. Is he ordering for the entire Boy Scout troop? How hard is it to say “I’ll have 20 burgers, small with no cheese”? Maybe he’s not familiar with the menu. Certainly, you don’t want to be that person. 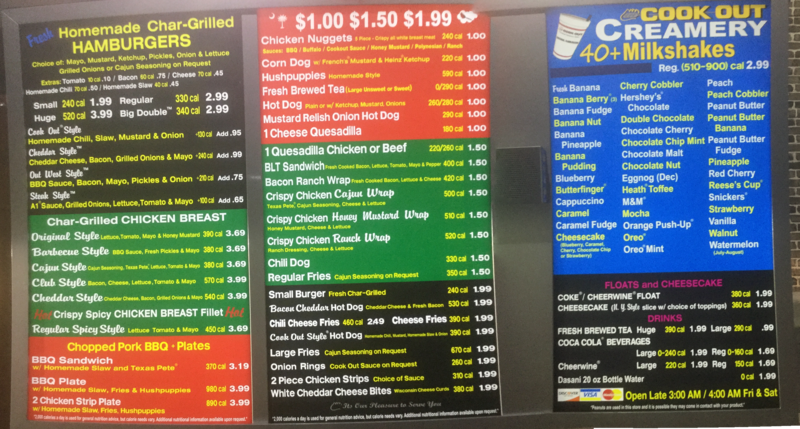 So, when you arrive to place your order, you quickly snap a picture of the menu for future reference. You can, of course, do the same thing with a printed menu. And now, you’ll be able to place your order with confidence. I sold one of these yesterday. It’s an excellent gaming computer, but this one is going to be used professionally with Lightroom and Photoshop. These programs take advantage of the superior processor and graphics card and it really doesn’t hurt having a computer that just looks cool. My job, as usual, will be to remove all of the awful advertising and junk programs installed by the manufacturer. If you’re doing serious work, you really don’t need to be burdened with this series of annoyances. I’m including this video below because the reviewer had a great idea for a gaming version of Norton’s that cracked me up. The labels didn’t quite look right, so I decided to open the computer even though the reported problem was only a Windows 10 update problem. It looked like an old AGP video card where a PCIE card should have been. since that’s a jumper and not an audio input. So, the moral of the story is that you should always be careful about who you allow to service your computer. The hazardous misplaced AGP video adapter is gone, the outdated and unsupported Windows 10 v1511 has been replaced with the current 1809 version, the horrendously annoying ads for Netflix, Candy Crush, Minecraft, etc. have been removed and the menu has been cleaned up. Life is better now.